A new study, conducted by the UK100 environmental cities network, shows that 30% of UK patients are registered at GP surgeries which are located in air pollution hotspots. This amounts to 17.9 million people visiting GPs in places where the air pollution exceeds WHO guidelines. The data is based on particle pollution data published by the British Lung Foundation and the NHS Digital Database. London, the east Midlands, west Midlands, east of England and south-east have the most patients registered to GPs in pollution hotspots. UK100 director, Polly Billington, said the figures showed air pollution was a “national problem”. She believes a new Clean Air Act is needed. “Some of the most vulnerable groups of people including young children and older people will walk to their GP, often to get help with respiratory conditions like asthma and bronchitis,” she said. The Mayor of London, Sadiq Khan, said the findings were a “timely reminder of how many people are exposed to poor air when they are at their most vulnerable”. “Government must recognise that cities can’t win this battle alone and we now need to be given greater powers and funding to clean up our filthy air and protect future generations,” he added. Simon Stevens, chief executive of NHS England, has urged NHS bodies across the country to adopt cross-sector partnerships with local organisations to help tackle air pollution. 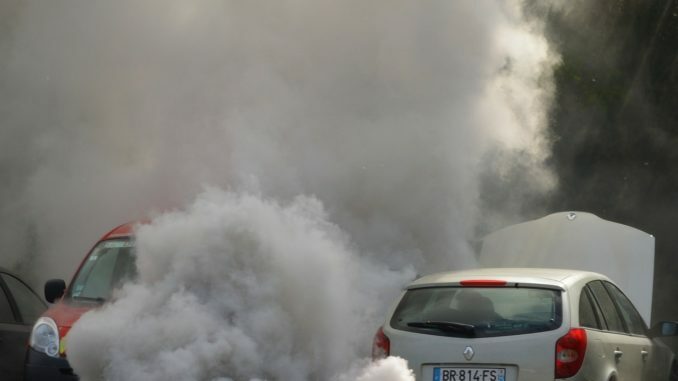 “Air pollution causes thousands of hospital admissions and early deaths every year, but while doctors, nurses and therapists are treating the health consequences, the NHS is also taking action to tackle the problem at source,” he said.